Why is it that garbage disposals always seem to go out at the worst possible time? It doesn't matter whether you are preparing for a party, cleaning up from one, or just preparing dinner for your family. Regardless of the time or occasion, when your garbage disposal goes out, it's dramatic. And it doesn't matter whether you need a Garbage Disposal Repair in Gilbert, AZ or garbage disposal replacement, it always seems like it's days away from getting back up to speed. Not anymore. With our company, your garbage disposal problems are our business. We can not only provide excellent Garbage Disposal Repair in Gilbert, AZ, but we make sure that whatever is needed is done in as expeditious a time as possible, so you can get back to your life, with a garbage disposal that works better than it ever did. Let's face it: garbage disposals are a huge savings of time and energy. Just think back to the times where you didn't have the benefit of a garbage disposal. That meant a lot of trips to the trash can that could have otherwise been spent on other things. 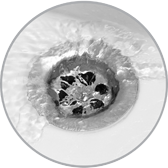 We know this, so when it comes to garbage disposals, we put their repair or replacement in their proper place. As a result, when you call us about your garbage disposal, you can be assured that it will receive our prompt attention, unlike many firms that leave you hanging. Our technicians are trained and experienced to handle all of your Garbage Disposal Repair in Gilbert, AZ needs, whether they be repair or replacement. And we won't try to sell you on a replacement if a repair is called for. When you call us, you will receive a fair and honest evaluation of what is needed to get your garbage disposal up and running again in no time. Call us today. You will be thankful that you did.